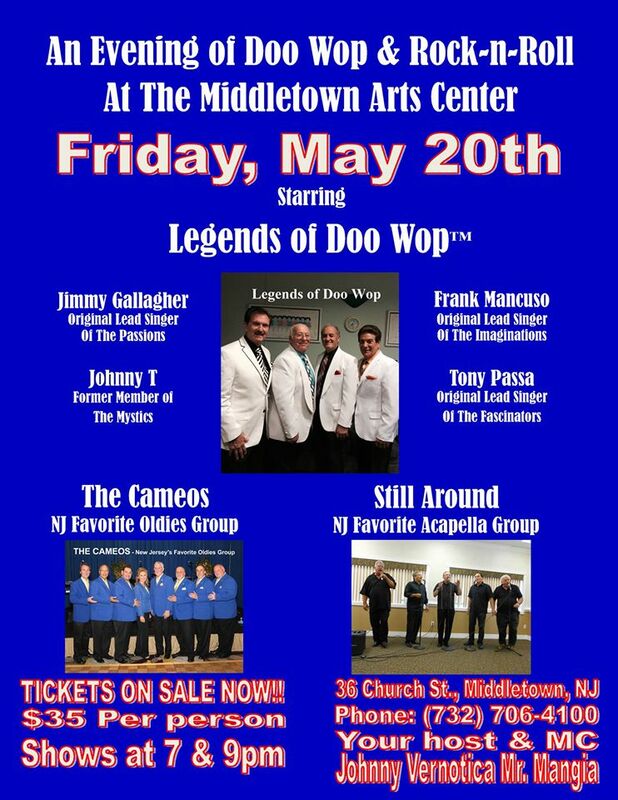 The Legends of Doo Wop (Jimmy Gallagher of the Passions, Frank Mancuso of the Imaginations, Tony Passa of the fascinators and Johnny T of the Mystics) plus the Cameos and acappella group, Still Around, perform at the Middletown (NJ) Arts Center, 36 Church Street, Middletown, NJ, on Friday, May 20, 2016. There are two shows – 7 and 9 PM. Tickets are $35.